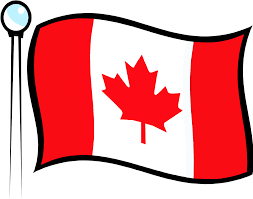 Staff and students at St. Jerome CES are encouraged to wear red and white or a Canadian team jersey to celebrate the 54th anniversary of our flag on Friday Feb. 15, 2019. Our students will receive Flag Day freebies (paper flags, stickers, posters) at school on Flag Day. If you would like to learn more you can read some interesting facts about the Canadian flag, or if you want to use the Canadian flag for a celebration, you can learn the do’s and don’ts when displaying the flag.